TERRE HAUTE, IN — Sitting quietly on a shelf in the corner of the room, a large Love Live nesoberi has been silently observing the actions of Tyler Mansfield, 22, for the past 7 months. Unable to close its eyes, the stuffed doll has been unwillingly subjected to everything Mansfield has done privately in his room. Despite its best efforts to jump off the shelf into the sweet embrace of death, the nesoberi is unable to move. The inanimate toy is also incapable of expressing emotion. 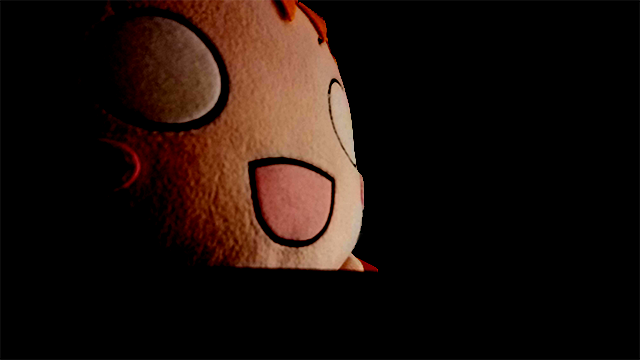 Unable to express its disgust at Mansfield’s depraved behavior, the nesoberi is forced to maintain its goofy smile for eternity. At press time, the nesoberi was reportedly trying to make friends with a nearby stuffed animal and together consider what sins they have committed in a past life to deserve this eternal hell.